Hyderabad, the biryani land, which is a hub of food lovers and enthu cutlets has a lot to cater besides biryani; making it the best city in India. 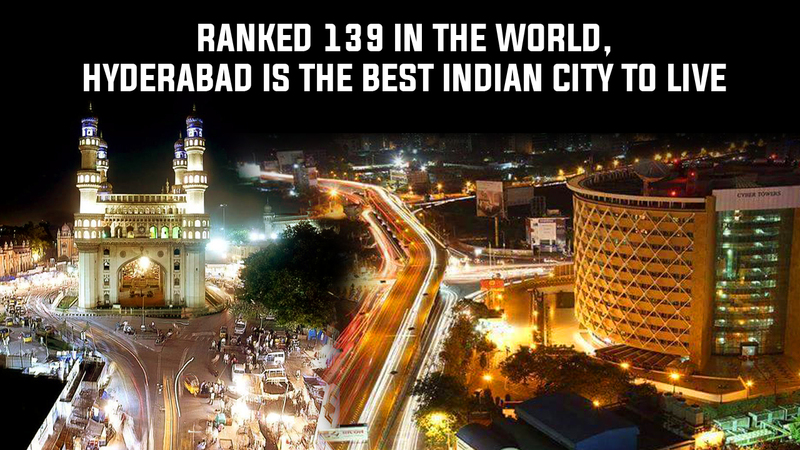 Well, the facts say so; Hyderabad is ranked as the No.1 city in India and 139th in the world by the Mercer report. Established by Quli Qutub Shah, it’s a beautiful city with great heritage and awesomely awesome places to visit like Charminar, Salar Jung museum and Chowmahalla Palace that leave you awestruck with its old-world charm. Also, we have Ramoji Flim City for all the Bollywood bhakts. When it comes to people of Hyderabad, they are very warm and accommodating. They make you feel at home away from home. Pro at mehmaannawazi , yo. Hyderabad that has all the modernization also continues to produce some of the traditional stuff. It has the largest bangle bazaar known as Laad Bazaar, and many traditional bazaars like Begum Bazaar and Sultan Bazaar that are running from decades. It’s been a trade centre for pearls and diamonds since the Nizam government, and still continues to be known as ‘city of pearls’. Hyderabad is a paradise for all the foodies because it has lip-smacking cuisines which make you go gaga over it. A typical day in Hyderabad starts from Nihari and ends with a sugar rush from the Khubani. This city offers a lot of employment, business and investment opportunities .It has many multinational companies like Amazon, Google, Facebook, Apple and is believed to attract many more companies because of its great potential. We all are a little proud as Hyderbadis, aint we? So, let’s stand still for the love of Hyderabad.